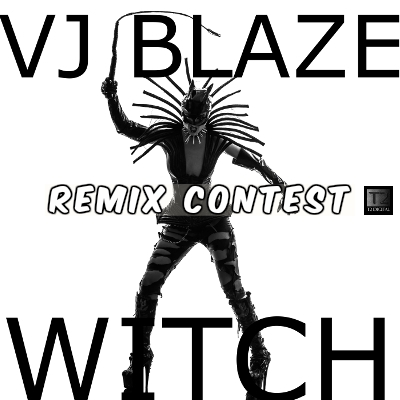 T2 Digital Releases proudly presents VJ Blaze’s “Witch” Remix Contest. Our latest remix contest featuring brand new music by VJ Blaze. Entries can come from anywhere in the world and may be in any genre. 4 winners will be chosen, 3 by popular vote and 1 by the artist. The Grand Prize winner will be the First Place Winner of the popular vote. Listen to the track, then download the promo pack via the Original Remix Contest Page for use with your remix. 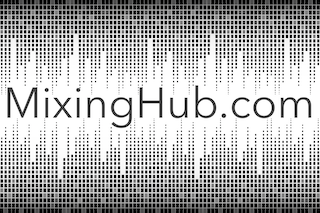 Upload your remix to YOUR SoundCloud account. Once you submit your track, click the Remix Contest Entry Link that you receive to verify that your submission is entered into the remix contest. Tweet, Post, Instagram, Youtube, Tumblr, Google Plus, Stumble Upon, Reddit, email your remix contest entry link to your friends and fans and encourage them to VOTE and send to their friends too. There are 2 ways to win. Have a mix that blows VJ Blaze away so he chooses you! *One vote per person per day during the remix contest duration. Multiple votes from the same IP address in less than 24 hours will disqualify all votes from that IP address for the duration of the remix contest. INSTAGRAM: Use the photo included in the stems pack on your Instagram along with the your remix contest entry link (NOT the soundcloud URL) and encourage your friends and fans to vote. FACEBOOK: Post your remix contest entry link (NOT the soundcloud URL) so your fans and friends can VOTE for you. Use the Facebook box below your entry (on your remix entry page) to post the link to Facebook and encourage your fans to do the same. TWITTER: Tweet the remix contest entry link (NOT the soundcloud URL) to your friends and fans and encourage them to retweet. Tweet the remix contest entry link (NOT the soundcloud URL) with hashtag #WitchRemix to @T2DReleases and we will help you promote by re-tweeting. SOUNDCLOUD: Once you enter the remix content, go back to soundcloud and put the remix contest entry link in the info of the soundcloud track. Encourage your followers to follow the link and VOTE for your remix.